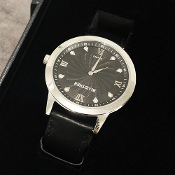 Only one in stock, we get these very rarely! One table for the Flea Market and also one item entered into the auction. We hope to see everyone at the flea market Saturday May 11 from 9am till 1pm. Its free to attend and everyone is welcome. Performers already booked include Stephen Bargatze, Martin Cox, Will Fern, Michael Trixx, Magic of Puck, Scott Alexander, Alain Nu, John Ferrentino, Christian & Katalina, Michael Vincent, Daniel Roy, Jason Michaels, BJ Mallen, and many more! Gently used New power rising cards in great working condition. Robert Bengel Lecture Notes and DVD. Robert was just here at Abbotts for the Closeup Convention. We still have a few of his lecture notes (complete with DVD) available. Fantastic Close-Up Gem, First borrow a wedding ring from a spectator. Now show a georgeous wooden Ring Box, place the borrowed ring inside this box (lock it in if you like). Very fairly close the Lid & put the Box in the spectators hand. Now you... The quality of Strat-O-Sphere is unsurpassed, maybe never to be equaled. If these were purchased separately the cost would be $120. 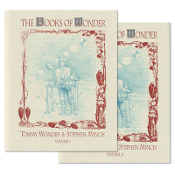 In this fantastic package we start of with several card books and instructions. Easter SPECIAL - This offer goes off the table April 21st at midnight! . Over $60 of Escape PDF's if purchased separately. 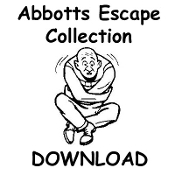 Lets start off with Abbott's Book of Escapes. This book of more than fifty-four pages fulfills a long-felt need for the magician and escape artist. Easter SPECIAL - This offer goes off the table April 21st at midnight! . If you were to buy these downloads separately your cost would be well over $50, but for a limited time we are offering the following 6 Gospel Magic downloads for one low price. Easter SPECIAL - This offer goes off the table April 21st at midnight! . 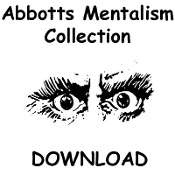 In this fantastic package we start of with several mentalism books. If these were purchased separately the cost would be $80 Easter SPECIAL - This offer goes off the table April 21st at midnight! . 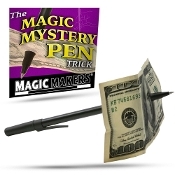 This is one of my favorite packages of downloads because it is the most practical for any magician or beginner and will give a person he needs to become a magician and enhance those who already are. Easter SPECIAL - This offer goes off the table April 21st at midnight! . This is a price for all the Abbott Workshop Plans (currently over 50 plans) and our two most popular illusion book downloads ("Illusion Illusion" and "Illusion Show Know How") in one incredible download package. Easter SPECIAL - This offer goes off the table April 21st at midnight! . All 24 Grant's Secret Service available as a download for one low price. Perfect Stocking Stuffer, each a separate page for easy printing. All Abbott downloads are instant when using Paypal, credit cards a bit longer. Easter SPECIAL - This offer goes off the table April 21st at midnight! . A collection of the finest Halloween based books and instructions ever compiled. If purchased separately the cost would be $72 Easter SPECIAL - This offer goes off the table April 21st at midnight! . Sooth your magical thirst with Uncle Rob's original root beer trick! Gently Used Acrobatic Silks, high resolution pic for close examination, check out the demo. An Unexplainably Mystifying Illusion that Adds Laughter on Top of Great Comedy! The cups stack perfectly & the balls rest perfectly. Giant cups and balls, will hold a larger load than standard cups and balls - and the sound they make when tapped with a wand sounds like it was made in heaven, a beautiful ring to these. The Magician's Wand is poised with great balance for the seasoned magician. 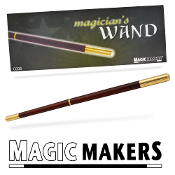 This two-part screw together wand is hand crafted from the finest wood and material. The wand stands 13.75 inches tall and weighs 5 oz. with a heavy feel. Definitely a wand that the pros use. Gently used UF Grant Milk in Lightbulb. Vanish some milk and the light goes out, take off the shade and the lightbulb is full of milk. Pour the milk out, replace the shade, and the light returns to working condition. The very definition of packs flat and plays big. The spectator ties the blindfold on you (after examining it) and you are able to see even though the spectator examined it. The Anti-Gravity looks, feels and writes just like an ordinary Sharpie. Except this one can defy gravity. And with no complicated setup, it's one of the few suspension / levitation illusions that can be performed at the drop of a hat, ANYWHERE... ANYTIME! Check out demos, lots of fun! In the right hands, miracles can take place with this ingenious piece of apparatus. 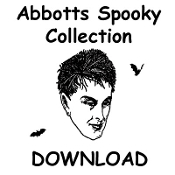 Select a free gift from Abbotts when purchasing this product! 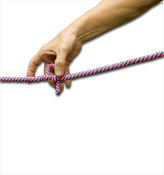 Perform the famous linking rings routine with ropes.The three lengths of rope are tied right in front of spectators and then linked and unlinked at will. Completely mechanical action. Demo by Greg Bordner! We send you a specially prepared, fine quality black felt top hat and the directions. You supply the bunny and you are all set to go. Check out the new demo by Greg! This is one of the most amusing and entertaining tricks in magic. The outfit consists of a black felt hat fitted with a white rabbit puppet. The rabbit is hand operated through an opening. Check out demo by Greg Bordner. Zinab Fanning Decks are very collectable and can be used for a special close up experience! Imagine a card whose back pattern contains five colors: red, black, white, yellow and blue! The upper left quarter is brilliant red with a black highlight half-circle at the edge. The perfect stocking stuffer! Abbott Gift Certificates can be in any denomination you wish, however online they are a set price. If it gets too close to Christmas let us know and we can mail the cert directly to that lucky person. This effect requires no skill and no practice. It takes less than one minute to master and we know you will be so fascinated by this ingenious effect that you will do it over and over again for your own amusement, even before showing it to your audiences. See Demo! 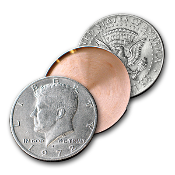 Our folding coins are made out of quarters that are currently in circulation. Check out the demo by Greg Bordner, this effect is aka bite out coin made famous by David Blaine. Extra rubber bands 25 for $5 available. 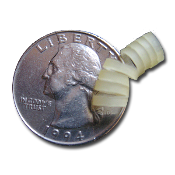 25 rubber bands for the folding quarter or half dollar, please specify which one. 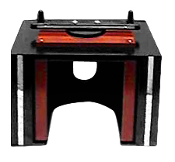 A block is removed from the dowel and placed in a top hat or other container for a few moments. The block is returned to the dowel with the other two and magically vanished, only to be found back in the top hat. Two metal tubes are shown. The outer tube is of polished brass and has two large circular holes in its side. The inner tube is solid and is chromed. The fake supplied for this effect is a new departure and it makes for foolproof working. Demo Illusion in great shape, shipping is FOB Colon or save on shipping costs by picking this up at the Get Together, first come first served. The best buy in magic today! Shipping FOB - Production, vanish, or transposition of a live human can be easily accomplished with this outfit. Produce the CEO and he won't even get his suit wrinkled!! Good Condition, only one available at this price, see demo. Illusion in great shape, shipping is FOB Colon or save on shipping costs by picking this up at the Get Together, first come first served. Check out the demo by Greg Bordner This prop is in excellent condition, find the queen effect as the audience, try as they might, are unable to locate the queen. 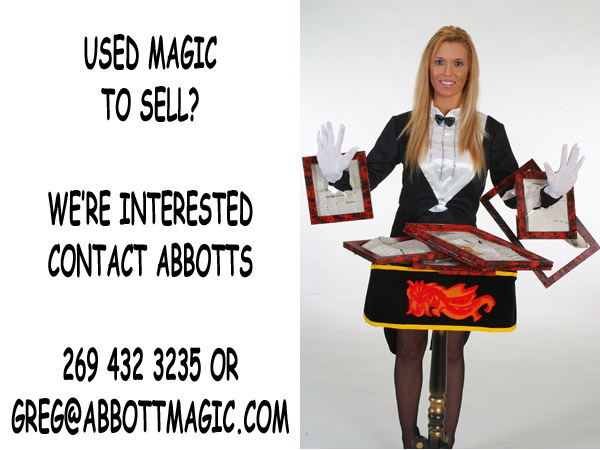 Completely under the control of the magician and very easy to do, check out the demo by Percy Abbott on this effect for ideas of how it can fit into your act. This item is perfect for vanishing small items in a very visual way. Show the net, fold it up to make a pocket, place the item you want vanished into the pocket which is visible through the netting. At the magicians command the pocket opens up and the item is vanished. Only one available, first come first served. Plays big, the assistant will be as fooled as everyone else! Demo! Perhaps the greatest collection of magic and history in one volume. In many cases if purchased individually these effects would be ten times the cost of the book. Each book only $10! Packs small, plays big. Easy to do, 52 on 1 , stretching a card, and the princess card trick are all on the banner. A great value that will play big on almost any venue and any audience, children and adults. 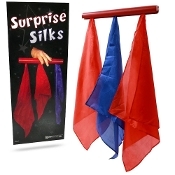 While supplies last - Folds down to three feet long by five inches in diameter and can be set up in less than thirty seconds to make a backdrop frame measuring six feet high and six feet wide. Completely self-contained - no loose parts. Everyone at the Abbott Magic Company flipped when they first saw this backdrop frame - and so will you! Greg Bordner goes over the setup in a demo showing the ease of setup. Directions for making your own curtain--no curtain supplied. 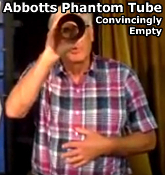 Abbotts Phantom Tube is the most deceptive production of a silk that you can imagine. The tube is shown empty, you can see through it, yet a large silk production is still made. DEMO! Only one available, first come first served.